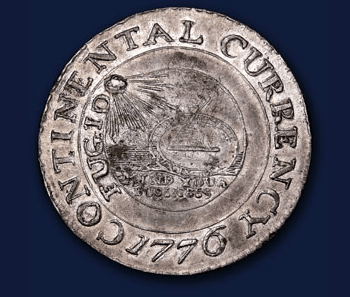 This is a pewter Continental Dollar from 1776. 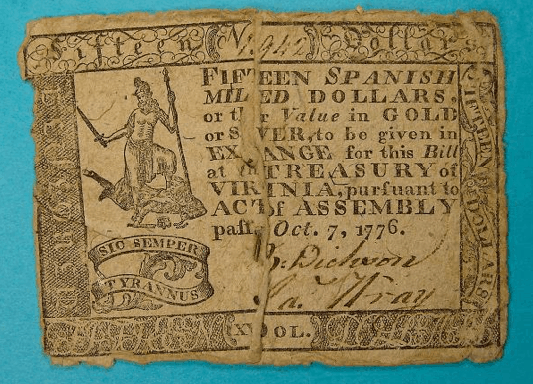 The Colonists like the Spanish-American piece of eight coin, and this was based on that. 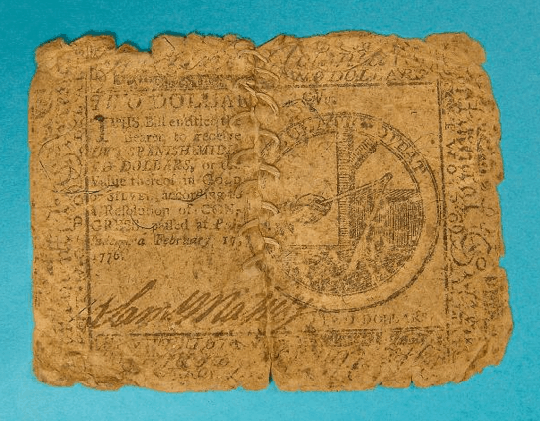 This coin came from a Benjamin Franklin design and was created by a New York engraver, Elisha Gallaudet. 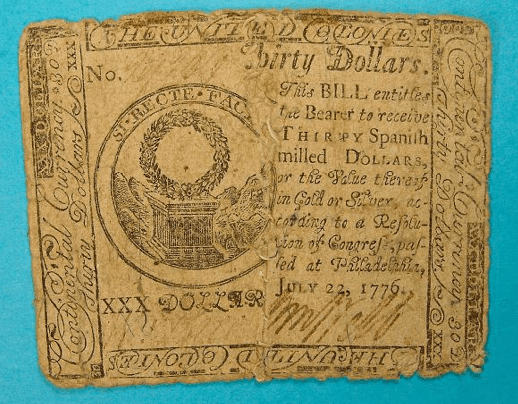 It is believed that the minting was done in Freehold, New Jersey. 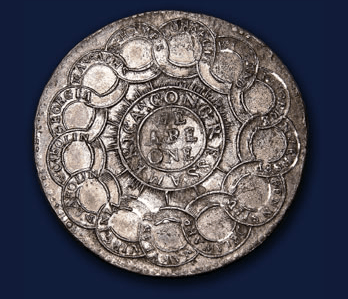 Some examples exist in silver and brass, though the majority are believed to have been minted in pewter. For source and more details, click here.